Measuring 400 sq. 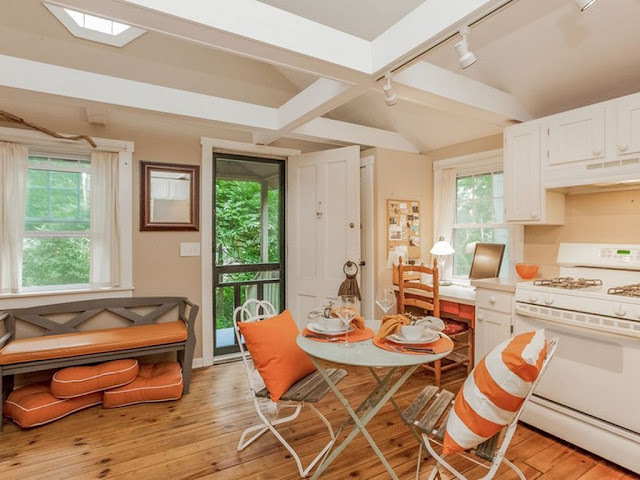 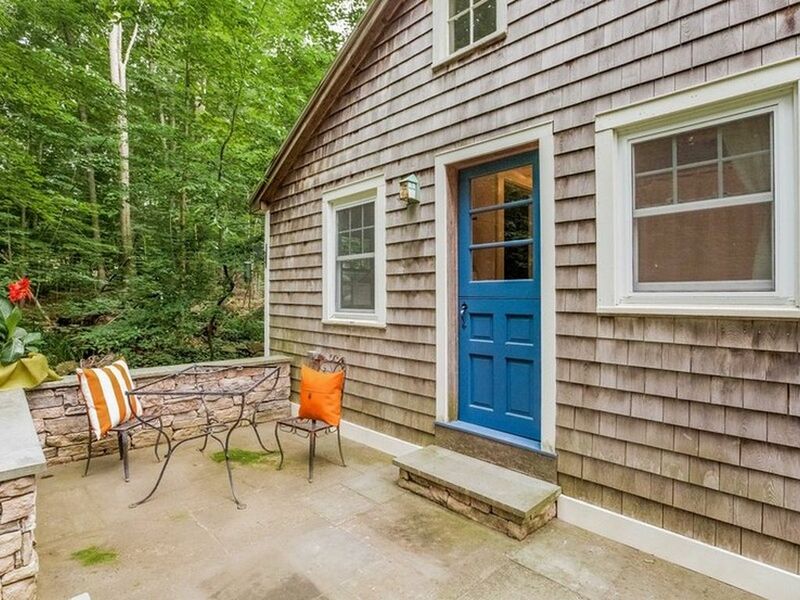 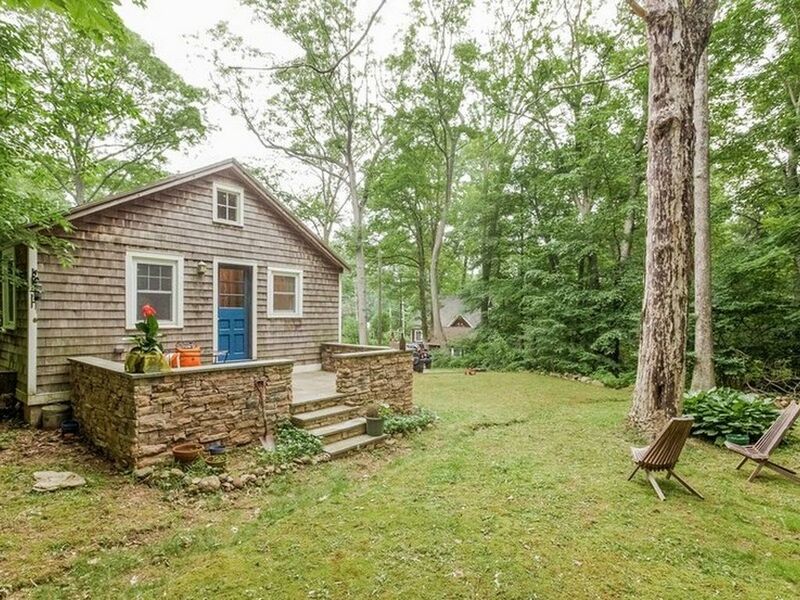 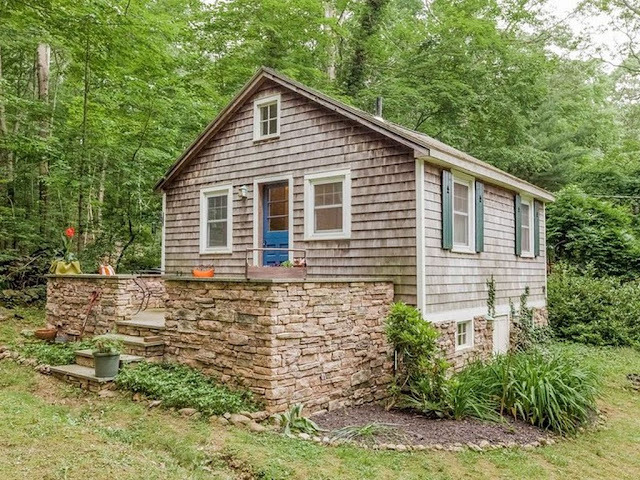 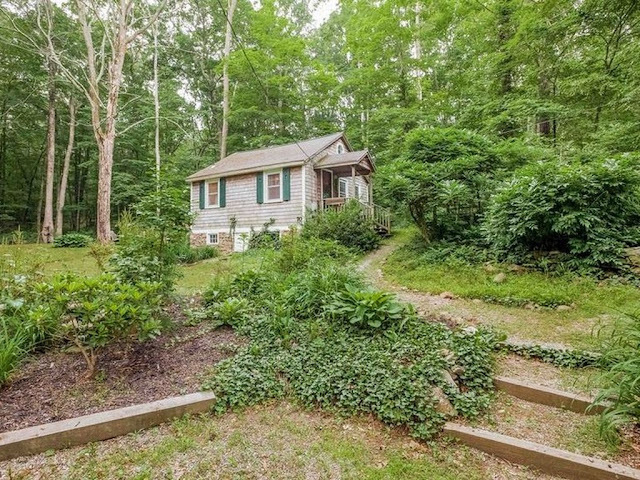 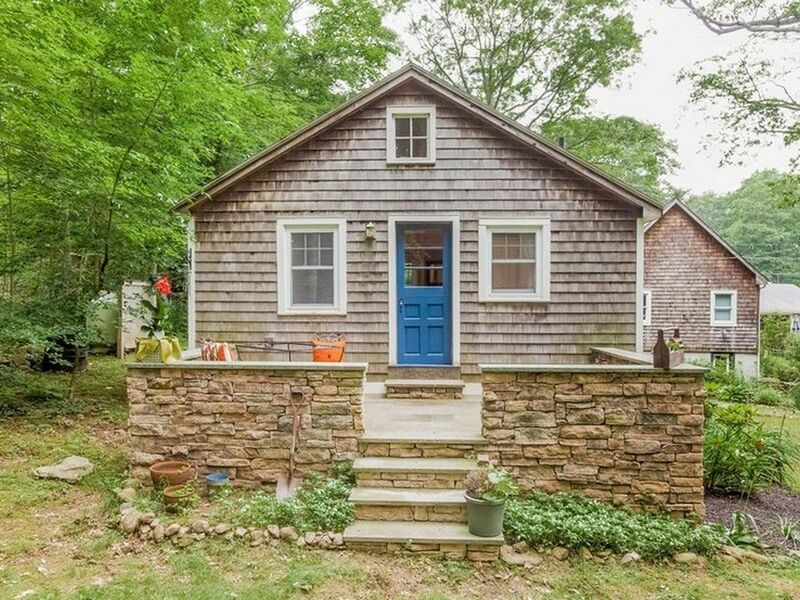 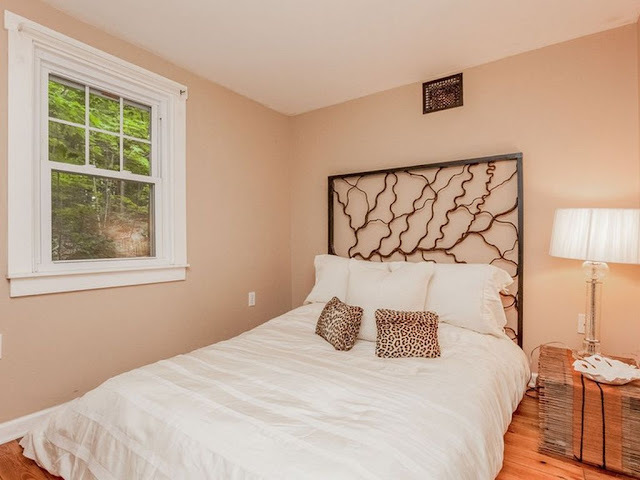 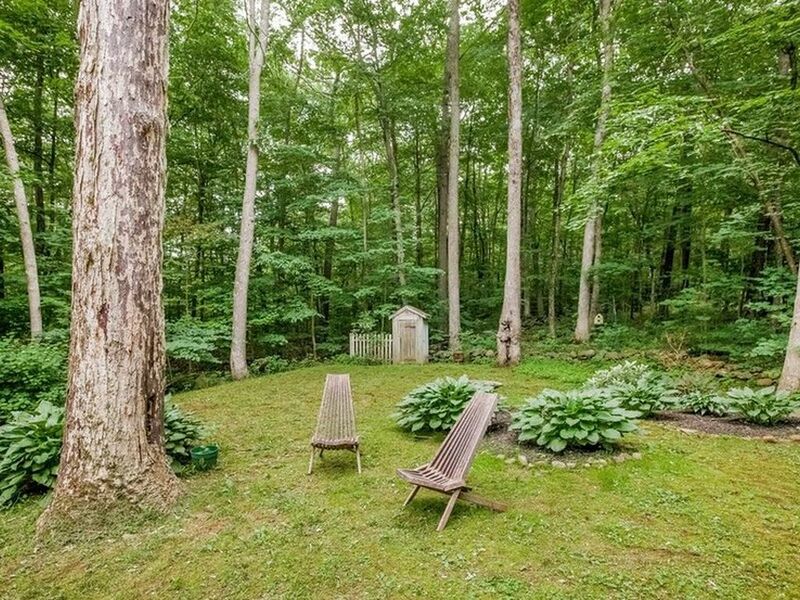 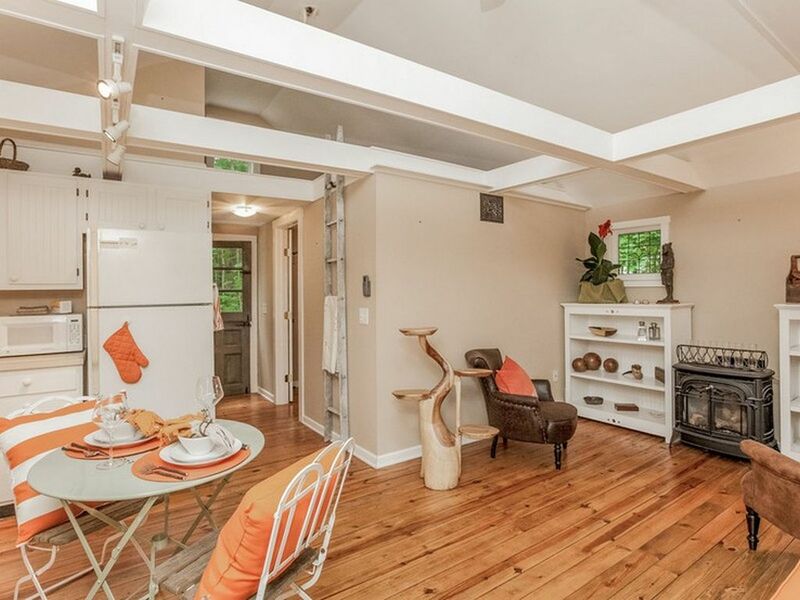 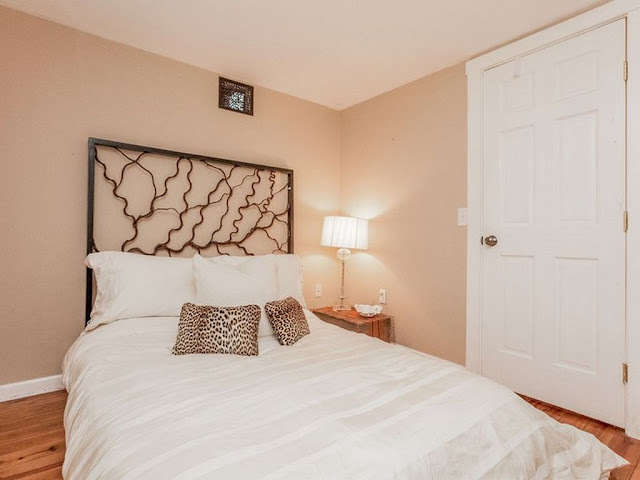 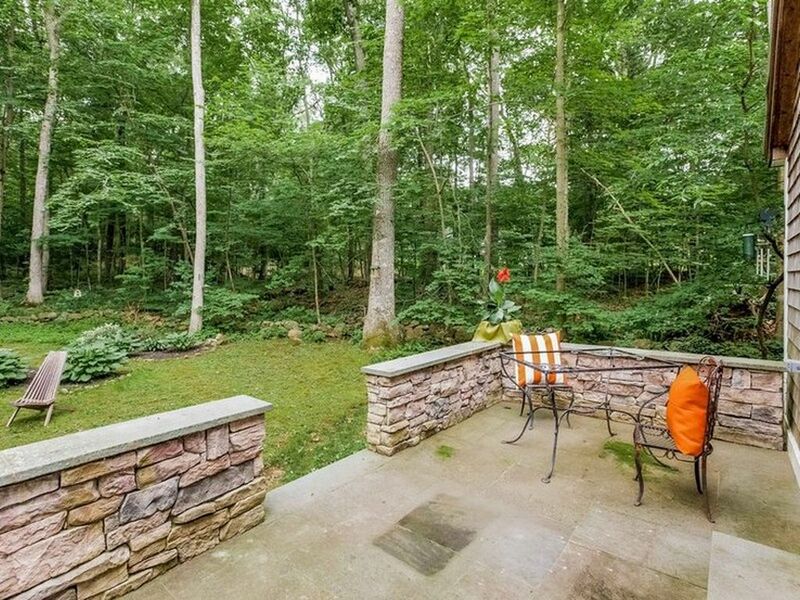 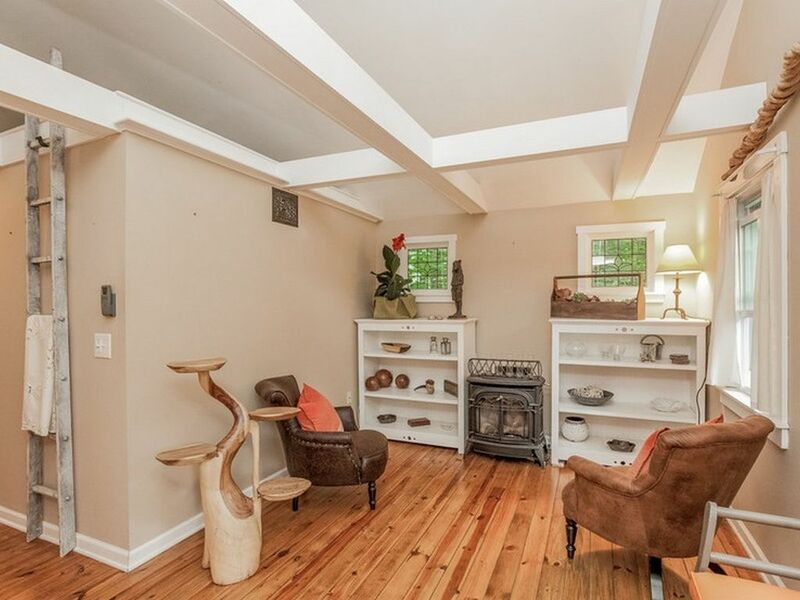 ft., this tiny home has a warm interior and is surrounded by a serene wooded area. When you walk through the front door of the home, you’ll see a computer nook immediately to the left of the door and a seating bench immediately to the right. 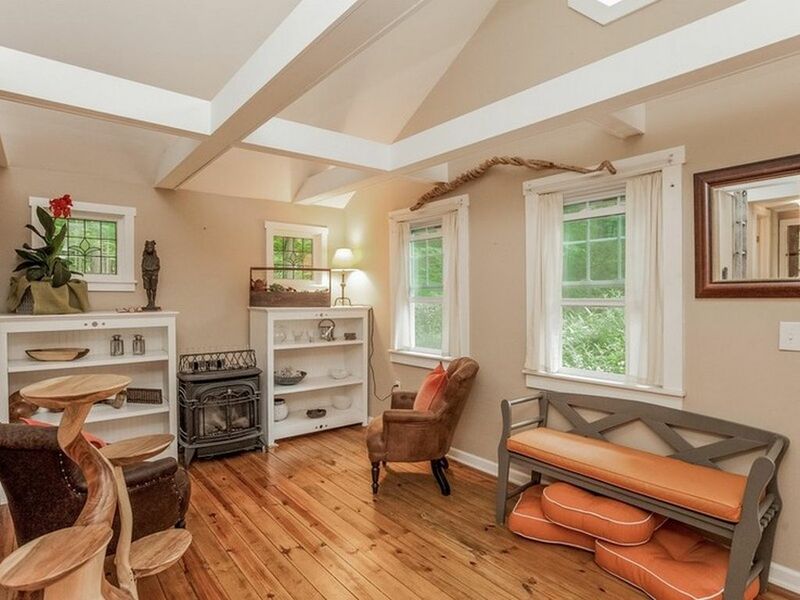 The living room, also located to the right of the entrance, is furnished with 2 accent chairs and a fireplace. 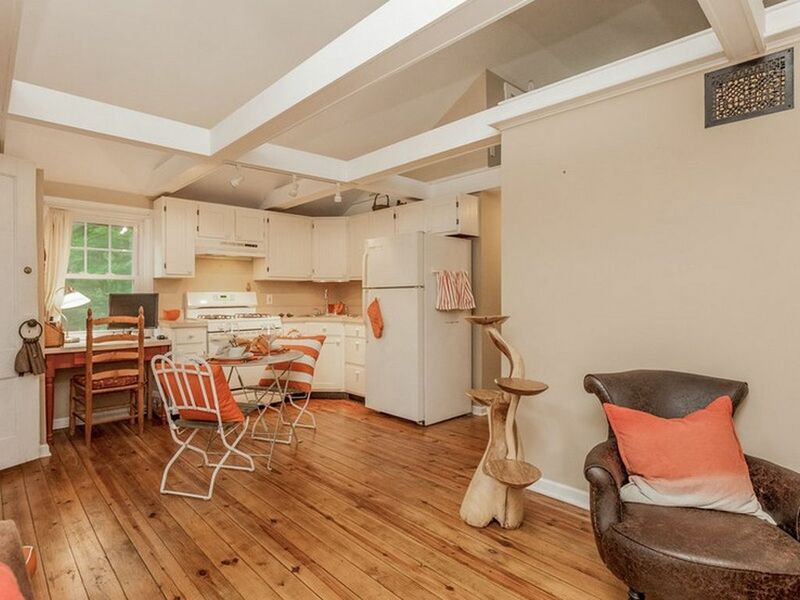 And the kitchen, located adjacent to the computer nook, features off-white countertops, white cabinetry and white appliances (4-burner range/oven, full-sized refrigerator/freezer, microwave). 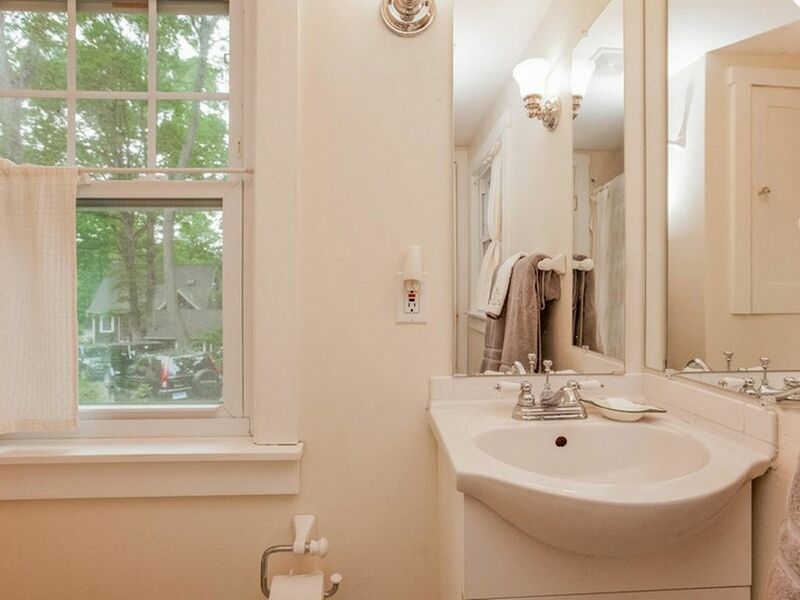 Once you walk past the kitchen and living room, you will see the full-sized bathroom and spacious, master bedroom on the right and left sides of the home. 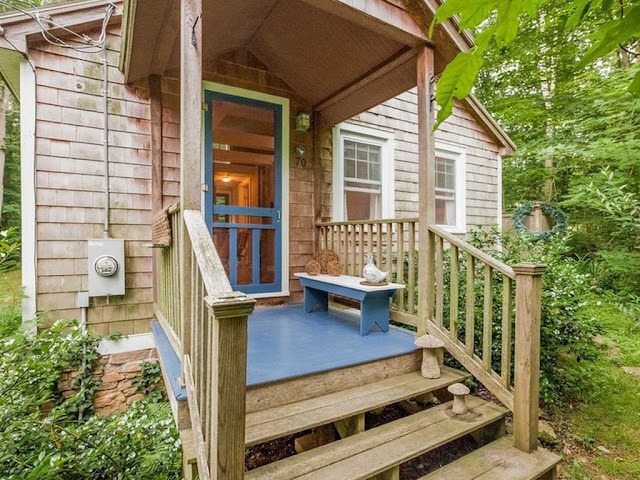 For more information on the pricing and other specifications of the home, visit its sales listing on Zillow here!